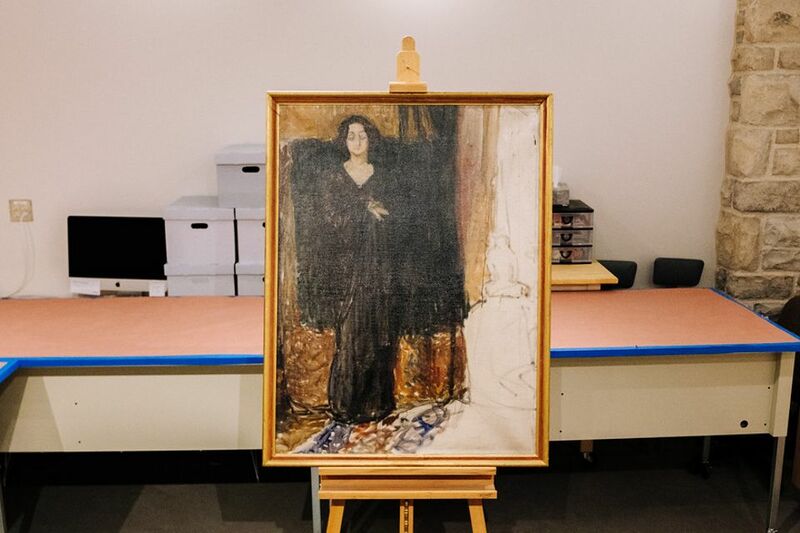 For years, Portrait of Eva Mudocci, an unfinished painting attributed to Edvard Munch—but not accepted by leading scholars of the artist’s work—hung in the dining room of the president’s home on the campus of St Olaf College in Minnesota. Now, scientific research done on the pigments and materials used in the work could confirm the portrait is a genuine work by the Norwegian master, and plans are being made for further scholarly study. The subject of the portrait, the violinist Eva Mudocci, who was a muse to Henri Matisse and Munch, is an intriguing one, however, and caught the attention of the writer Rima Shore who self-published Mudocci’s biography, earlier this year. Jane Becker Nelson, the director and curator of the college’s Flaten Art Museum, credits the research that Shore uncovered to a renewed interest in the painting. “Shore went deeper than any art historian,” Nelson says. For instance, she located auction records for a painting that fit the exact visual description as the one at St Olaf. That work was sold in 1959 from the estate of the Danish illustrator Kay Nielsen, a close family friend of Mudocci, to the collector Poul Rée, who sold it to Tetlie, creating a strong chain of provenance. Nelson reached out to Scientific Analysis of Fine Arts (SAFA), near Philadelphia, to conduct an analysis of the painting’s materials last fall. The firm previously tested some of the more than 900 paint tubes found in Munch’s studio and conducted pigment degradation studies on the 1910 version of The Scream to determine the causes for the yellow fading. 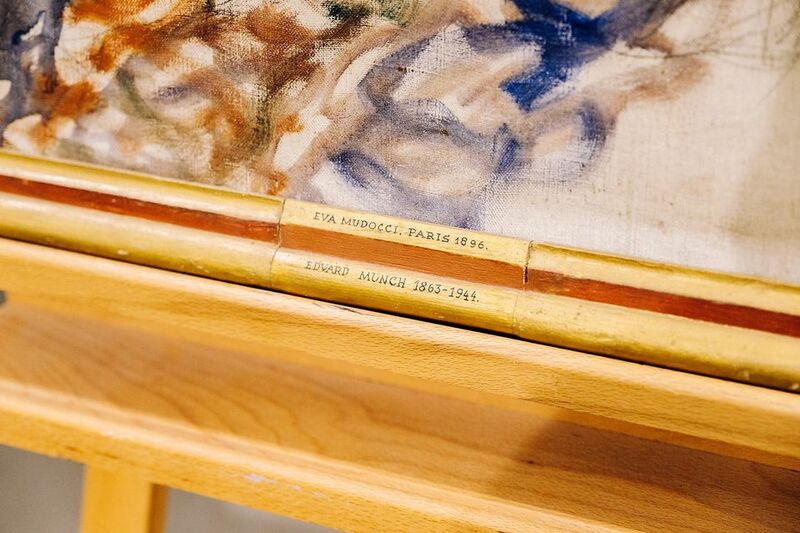 SAFA’s recently released results confirm that the pigment, binders, and fillers are from the period that Mudocci and Munch were together, and are consistent with the materials Munch used in his other works. Jennifer Mass, the founder of SAFA, says that varnish added as part of an earlier conservation treatment will be removed before it is displayed. “It’s good that it protected the painting, but it is out of step with the aesthetics of this period,” Mass says. Perhaps that will start to happen as Munch scholars make their way to Minnesota. Heller has already had several conversations with colleagues, including Woll, who told him she saw the painting while it was still in storage in Virginia before being sent to the college, in admittedly a less than ideal setting. There are tentative plans to hold a conference in Oslo in June on the subject.